This convenient package includes 12 s-bag® Classic Long Performance synthetic sachets. S-bag® Classic Long Performance bags are an original standard synthetic vacuum cleaner bag that is designed for most ELECTROLUX vacuum cleaners: AirMax / GREEN, Bolido, Clario, Clario2, ErgoSpace / GREEN, Essensio, Excellio, JetMaxx / GREEN, Maximus, Mondo Plus , Oxy3system, Oxygen, Oxygen +, Superpro, UltraOne / GREEN, UltraSilencer / GREEN, Viva Control, Viva Quickstop. 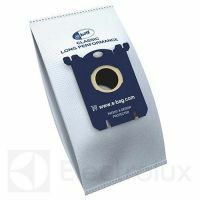 Long lasting performance: s-bag® Classic Long Performance bags last 50% longer than traditional paper bags in the vacuum cleaner. Higher suction power: thanks to the durable synthetic material from which s-bag® Classic Long Performance is made, optimum airflow is ensured by the aspirator's suction power. High filtration capacity: The synthetic material of this bag filters up to 99% of particles with a fineness of up to 1 micron (15 times smaller than the human hair diameter). It filters the air 40% more efficiently than a conventional paper bag, helping to get rid of particles of air such as allergens and some bacteria. 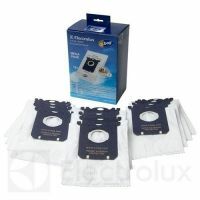 Hygienic and easy to change: thanks to a special folding method and unique patented cardboard, this bag easily fits into the vacuum cleaner and is hygienic; when removed from the vacuum cleaner, it closes automatically so that the content can not be spilled and the swap is fast and clean. TÜV certificate: TÜV Rheinland Group as an independent body tested s-bag® Classic Long Performance bags and awarded them a quality certificate. For more information, please visit www.tuv.com. S-bag® bags are also available in different materials to suit your needs, so you can optimize the performance of your vacuum cleaner: GREEN, Anti-Odor, Anti-Allergy and Ultra Long Performance. 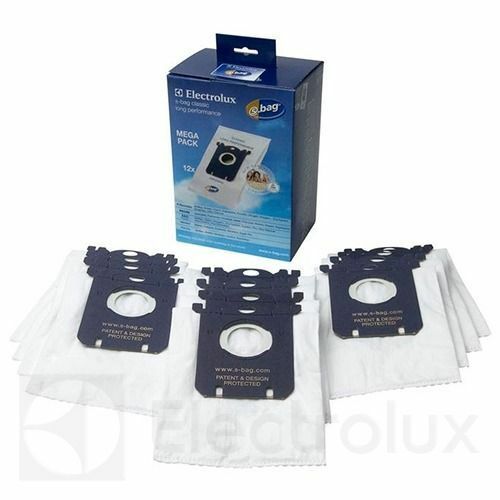 To maintain optimum performance, bags need to be changed regularly; the filters should be changed every fourth bag replacement in the vacuum cleaner. All filters should be changed at least twice a year or when they are visibly soiled. Using non-original s-bag® bags can adversely affect your vacuum cleaner performance.